TicametTM Cozycap for inhalation is indicated for the long term maintenance treatment of asthma in patient 12 years of age and older i.e. for regular treatment of persistent asthma where use of a combination of inhaled corticosteroid plus a bronchodilator has been found to be appropriate. It is not indicated for the relief of acute bronchospasm. One dry powder capsule inhalation twice daily approximately 12 hours apart. 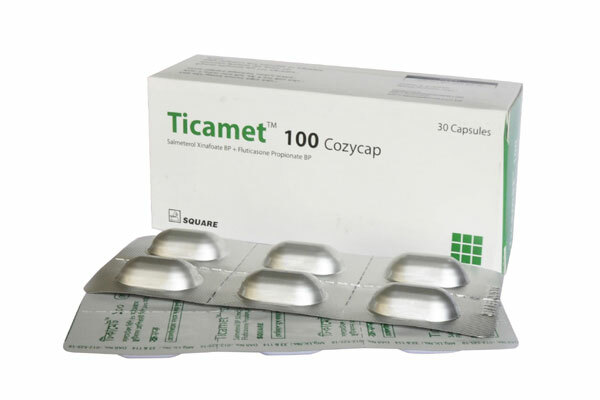 TicametTM 100 Cozycap - Each pack contains 30 capsules. 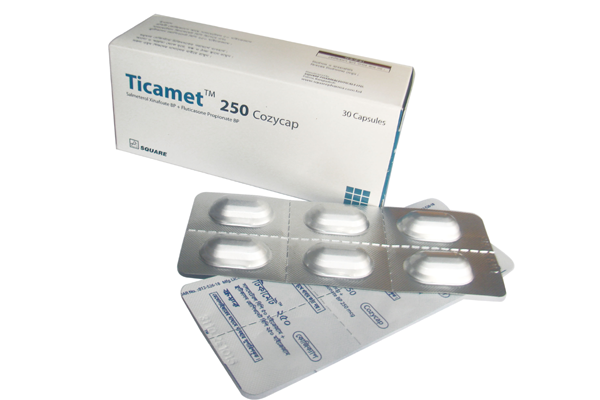 TicametTM 250 Cozycap - Each pack contains 30 capsules.